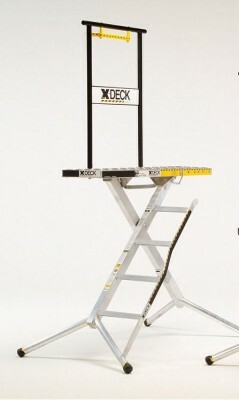 At 33 lbs, The X-Deck 4 Step is amazingly lightweight. 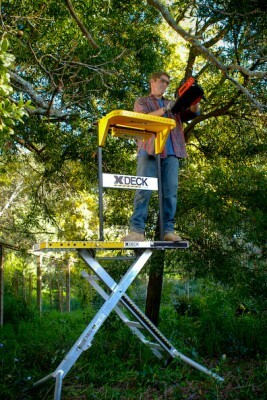 This model has a longer deck than the X-Deck 3 Step and raises a foot higher to just under 5 feet! It’s quickly becoming one of our most popular models. The deck is 5.6′ by 13.5′ with an active work area of over 8 feet! The deck’s tread pattern is aggressive and helps reduce the platform’s overall weight. When collapsed, the steps form a natural handle making it easy to carry. The hinged leg reduces the length for effortless handling and compact storage.